The Department of Environmental Quality says its first round of sampling showed arsenic concentrations in the Neuse River were below drinking water standards. The agency released the initial test results last night. On Sept. 23, environmental officials took samples from three locations: upstream and downstream of the HF Lee plant and near a railroad trestle at the Neuse River. 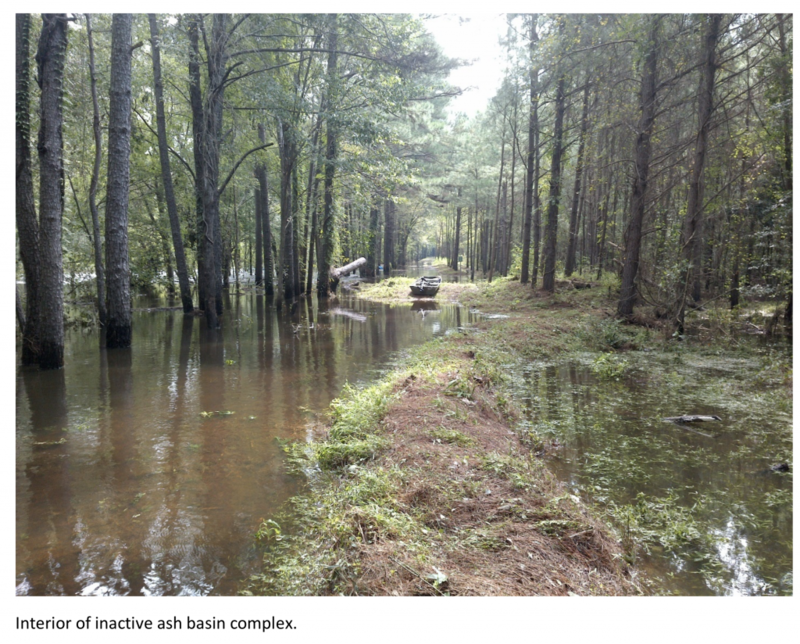 Flooding from Hurricane Florence had inundated the inactive coal ash basins, which are covered in trees and other vegetation, washing coal ash byproducts into the river and its tributaries. Arsenic levels were 2 parts per million, below the drinking water standard of 10 ppm. Concentrations of barium, mercury, selenium, nickel and mercury were also below those limits. The results are similar to Duke Energy’s tests, which indicated arsenic peaking at 1.7 ppm. The utility conducted its testing from Sept. 19 to 22. However, both results sharply contrast with those conducted by the Waterkeeper Alliance, which collected samples from different locations than the state and the utility. It sampled water on Sept. 19 from near the inactive coal basins, which indicated arsenic concentrations were all above the 10 parts per million maximum allowable concentration for drinking water supplies, peaking at 186 ppm. There were also elevated levels of vanadium and strontium, although there is no federal drinking water standard for those chemicals.